CNN caps off the year with a major ratings milestone: 2016 was the network’s most-watched year ever among total viewers. It’s also the second highest viewership on record among both total viewers and adults 25-54 in prime time (behind only 2008). CNN will close out 2016 ranking #8 in ALL of cable in M-F prime time among total viewers, its highest ranking since 1995 (last year CNN ranked #24). 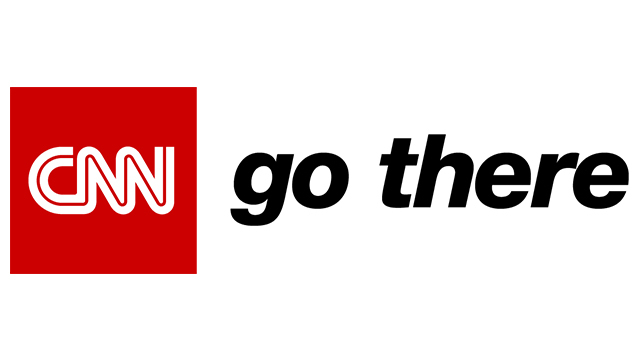 For the year, CNN ranked #2 in cable news in all dayparts, growing high-double digits vs. 2015. In daytime (9am-4pm), CNN posted its second highest performance on record among total viewers and its highest since 2008 among adults 25-54. CNN also ranked #1 during weekend primetime among adults 25-54 for the year. CNN ends 2016 in an extremely strong competitive position, crushing MSNBC across the board, while posting its biggest advantage since 2009 in Total Day among total viewers. CNN beat MSNBC in all but one weekday hour, beginning at 8am (New Day) and outperformed them at 7pm, 8pm and 10pm for the third straight year among adults 25-54 and at 8pm for the second consecutive year in total viewers. CNN registered its closest delivery to Fox News in prime time and Total Day since 2008 among adults 25-54. In the morning (6-9am), CNN posted its highest yearly 25-54 delivery since 2008 and second highest total viewer level on record. New Day with Chris Cuomo and Alisyn Camerota, which launched in June 2013, averaged its highest yearly performance on record and its largest yearly share of the cable news morning audience on record in both demos. In the 8pm hour, with Anderson Cooper 360, CNN registered its highest yearly 25-54 and total viewer performance on record. Both Erin Burnett Outfront and CNN Tonight with Don Lemon are posting their highest yearly total viewer and 25-54 deliveries on record. This year, State of the Union with Jake Tapper ranks #1 at noon among adults 25-54 and The Lead with Jake Tapper posted its highest deliveries on record. CNN had record breaking viewership for its political event coverage in 2016. CNN Original Series mostly ranked #1 in the all-important adults 25-54 demo rating in 2016, averaging record highs and attracting younger cable news audiences. In 2016, CNN attracted an audience that is five years younger than Fox News and two years younger than MSNBC in Total Day (CNN 61 years vs. Fox News’ 66 years vs. MSNBC’s 63 years). Furthermore, MSNBC is at its oldest yearly median age on record (63 years, tied with 2015) in that daypart. In M-Su primetime, CNN is posting a median age (59 years) that is seven years younger than Fox News (66 years) and four years younger than MSNBC (63 years). In prime, MSNBC is at its oldest yearly median age on record (63 years, tied with 2015). In addition to New Day with Chris Cuomo and Alisyn Camerota (6-9am) posting it highest yearly performance on record in both total viewers (510k) and 25-54 (160k), it also posted its largest share of the cable news morning audience since launching in 2013 (18% / 22% respectively). The CNN morning show grew vs. a year ago, increasing +41% in total viewers and +40% among adults 25-54. CNN dayside weekday programs (9a-4p) averaged its second highest performance on record among total viewers (759k) and its highest since 2008 among adults 25-54 (196k) this year. CNN dayside programming all ranked #2, topping MSNBC each hour; increasing +41% in total viewers and +43% among adults 25-54. The Lead with Jake Tapper (4pm) posted its highest deliveries ever. Ranking #2 in cable news, the Tapper led program easily topped MSNBC in total viewers (902k vs. MSNBC’s 623k) and adults 25-54 (223k vs. 128k). The Lead grew +50% in total viewers and +48% among 25-54 vs. last year. The Situation Room with Wolf Blitzer (5-7pm) ranked #2 in cable news besting MSNBC in both total viewers (917k vs. MSNBC’s 745k) and in the demo (254k vs. 151k). Compared to last year, The Situation Room was up in total viewers (+49%) and up among adults 25-54 (+41%). CNN beat MSNBC during M-F weekday prime hours at 7pm, 8pm and 10pm for the third straight year among adults 25-54 and at 8pm for the second consecutive year in total viewers. Erin Burnett Outfront (7pm) posted its highest deliveries ever this year — 954k in total viewers and 295k in the key demo 25-54. EBOF ranked #2 in cable news in the demo 25-54, topping MSNBC’s Hardball (225k) by +31 %. The Burnett-led program grew +53% in P2+ and +46% in 25-54 vs. last year. Anderson Cooper 360 (8pm) topped MSNBC’s Chris Hayes again this year in both total viewers (1.196m vs. MSNBC’s 1.106m) and the demo (370k vs. MSNBC’s 256k). CNN has now beat MSNBC in total viewers for two years, and among adults 25-54 for three. The Cooper-led program was also up compared to last year, increasing +66% in total viewers and +64% among adults 25-54. 2016 marks the highest P2+ and 25-54 performance on record for CNN in the 8p hour. CNN programming (various) at 9pm grew +67% in total viewers (1.010m) and +60% among adults 25-54 (336k) vs. last year. CNN Tonight with Don Lemon (10pm) had its best deliveries ever in both total viewers and the demo 25-54 in 2016. This year, the Lemon-led program ranked #2 in the demo (328k), easily topping MSNBC’s The Last Word (285k). CNN Tonight was up the most on CNN in prime time, increasing +78% in total viewers and +69% among adults 25-54. CNN ranked #1 in Saturday/Sunday prime time in 2016 among adults 25-54 (CNN 307k vs. Fox News’ 262k vs. MSNBC’s 134k) and ranked #2 in total viewers, up +69%/+72% respectively. CNN ranked #2 in cable news on weekends in Total Day (both P2+ and 25-54). New Day Saturday (6-9am) ranked #2 in cable news each hour in total viewers this year and grew double digits in both total viewers and the key 25-54 demo. MSNBC was 3rd or 4th. Smerconish ranked #2 in both total viewers (788k) and among 25-54 (211k) at 9am, growing +35%/+43% respectively. At 6pm, the program ranked #1 in the demo (187k) up +58% from last year. In total viewers (742k), the Smerconish-led program ranked #2 and was up +60% vs. 2015. CNN Newsroom with Fredricka Whitfield (12noon-3pm) was #1 in cable news in the key demo 25-54 each hour and #2 total viewers. MSNBC was third. The Whitfield-led news program was up double digits each hour in both demos vs. last year. CNN Newsroom with Poppy Harlow (3-6pm) also ranked #1 among adults 25-54 each hour while MSNBC ranked third or fourth this year. The Harlow-led program was up double digits each hour vs. a year ago. Inside Politics with John King (8a) ranked #2 in cable news vs. MSNBC’s Politics Nation in both total viewers (703k vs. MSNBC’s 387k) and the demo (196k vs. MSNBC’s 97k). The program grew +48% in total viewers and +52% in the demo from last year. State of the Union with Jake Tapper ranked #2 on Sundays at 9am, averaging 814k in total viewers and 238k among adults 25-54, growing +57% /+78% respectively. At noon, SOTU ranked #1 in cable news in adults 25-54 (250k, Fox News placed second 249k, MSNBC was third 130k). The noon edition of SOTU also grew by double digits up +62% in total viewers and +84% among adults 25-54 compared to 2015. Fareed Zakaria GPS (10am) ranked #2 in total viewers (919k, up +49%) and in the demo 25-54 (237k, up +51%). The Zakaria-led program was also #2 at 1pm in both total viewers and the demo, increasing +55% /+64% respectively. MSNBC was third. Reliable Sources with Brian Stelter (11am) averaged 850k in total viewers and 228k among adults 25-54, easily topping MSNBC’s 531k/138k. The media news program grew +63% in total viewers and +71% in the key demo adults 25-54. Ranked #1 in ALL of TV (cable and broadcast) on Election Night in prime time among both total viewers and adults 25-54. Delivered record breaking ratings for CNN’s presidential candidates debates and 20+ Town Halls in 2016. Had the most-watched Iowa Caucuses night in cable news history among 25-54 and the 2nd most-watched in cable news history among total viewers. Delivered the 2nd most-watched New Hampshire Primary night on record for CNN among both 25-54 and P2+. Had the most-watched primary/caucuses night (Super Tuesday) in cable news history among 25-54. Dominated all nights of the Democratic National Convention; beat broadcast and cable nets on final night. Delivered its highest RNC performance on record in P2+ on the final night of the Republican National Convention. Averaged the biggest audience across BOTH political conventions during the broadcast coverage block. Race for the White House (3/6-4/10/16) was the most watched CNN Original Series. Ranked #1 in cable news in its time period among both 25-54 (509k) and total viewers (1.513m), outperforming the combined delivery of Fox News and MSNBC. The Wonder List with Bill Weir (season 2, 3/20-4/17, 12/18/16) ranked #2 in its time period in cable news among both 25-54 (194k) and total viewers (625k). Compared to season one, the series was up +6% in total viewers. The Eighties (3/31-6/30/16) averaged 468k on Thursday nights among adults 25-54, ranking #1 in cable news in its time period. The series averaged 1.095m total viewers. The Eighties attracted the youngest audience in cable news during its time period (54 years) and was up +30% compared to The Seventies and increased +57% vs. The Sixties among adults 25-54. Anthony Bourdain Parts Unknown (season 7, 4/24-6/5/16) ranked #1 in cable news in its time period among adults 25-54 (354k), outperforming the combined delivery of Fox News and MSNBC. The series was #2 in total viewers (828k) and attracted the youngest cable news audience in its time period (55 years). United Shades of America with W. Kamau Bell (4/24-6/5, 12/4/16). The freshman series was a hit on Sunday nights at 10pm ranking #1 in cable news with 350k among adults 25-54, topping the combined delivery of Fox News and MSNBC. The show attracted the youngest audience (54 years) across cable news in its time period; while ranking #2 in total viewers (779k). Morgan Spurlock Inside Man (season 4, 6/3-8/12/16) averaged 156k among adults 25-54 and 414k P2+ over its six Friday night premiere episodes. The Hunt with John Walsh (season 3, 6/19-9/4/16) ranked #2 in cable news in its time period among both 25-54 (199k) and total viewers (609k) topping MSNBC by +62%/+68% respectively. The show was simulcast on HLN, averaging a combined CNN/HLN performance of 326k in adults 25-54 and 988k in total viewers. Declassified: Untold Stories of American Spies (season 1, 6/19-9/4/16) was the top-rated cable news program in its time period averaging 225k among adults 25-54 and ranked #2 with 592k in total viewers over its eight Sunday night 10pm premiere episodes. Anthony Bourdain Parts Unknown (season 8, 9/25-12/4/16) posted its highest season performance ever among both adults 25-54 (418k) and total viewers (960k), easily ranking #1 in cable news (adults 25-54) and #2 in P2+ over its nine Sunday 9pm premieres, growing steadily from season 6 to season 7 to season 8. The Bourdain-led series attracted the youngest audience (55 years) across cable news in its time period. This is Life with Lisa Ling (season 3, 9/25-11/27/16) posted its highest season performance ever among both 25-54 (300k) and total viewers (706k) over its eight Sunday 10pm premieres. The Ling led series ranked #2 across cable news in its time period among both demos, more than doubling MSNBC in 25-54 (+129%; 131k) and beating it by +73% in total viewers (407k). CNN Films: Steve Jobs: The Man in the Machine (premiere 1/3/16) ranked #1 across cable news in its time period in both 25-54 (529k) and total viewers (1.318m), outperforming the combined delivery of Fox News and MSNBC. CNN Films: Sunshine Superman (premiere 1/17/16) ranked #2 among adults 25-54 (113k) across cable news in its time period, topping MSNBC by +79% (63k). The film averaged 291k total viewers and attracted the youngest audience (56 years) across cable news in its time period. CNN Films Presents: History of the Eagles (premiere 1/30/16) delivered 413k among 25-54 and 1.438m P2+, ranking #1 across cable news in its time period among both demos, outperforming the combined delivery of Fox News and MSNBC. CNN Films Presents: Nothing Left Unsaid: Gloria Vanderbilt & Anderson Cooper (premiere 4/29/16) delivered 213k 25-54 and 1.063m total viewers, ranking #2 across cable news in its time period among both demos, beating MSNBC by +10% in 25-54 (194k) and +29% in P2+ (821k). CNN Films: Holy Hell (premiere 9/1/16) Across cable news in its time period, ranked #1 in 25-54 (456k) and averaged 1.182m total viewers. The film attracted the youngest audience across cable news in its time period. CNN Films Presents: 9/11 Fifteen Years Later (premiere 9/11/16) delivered 638k among 25-54 and 1.601m total viewers. Among all CNN Films and Presents premieres in Live+SD, ranked #1 in 25-54 and #2 in P2+ (behind only Glen Campbell…I’ll Be Me). Across cable news in its time period, ranked #1 among 25-54 and #2 in P2+. In its time period, outperformed the combined P25-54 delivery of Fox News and MSNBC and attracted the youngest audience across cable news (56 years). CNN Films: We Will Rise: Michelle Obama’s Mission to Educate Girls Around the World (premiere 10/12/16) was the most-watched CNN Film on record in Live+SD among total viewers (1.548m), ranking +9% above Blackfish. Among all CNN Films in Live+SD, it ranked #3 in adults 25-54 (461k). CNN Films: Enlighten Us: The Rise and Fall of James Arthur Ray (premiere 12/3/16), ranked #2 across cable news in its time period among both demos, outperforming MSNBC by +54% among adults 25-54 (82k) and +30% in P2+ (307k).